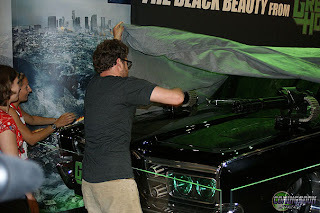 3-D Monster: First Look at The Green Hornet's "Black Beauty"! 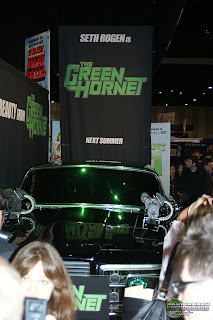 Seth Rogen, who is playing The Green Hornet in the film to be released next summer, has revealed the Hornet's car; "Black Beauty" at San Diego Comic-Con this week. He also said that Nicholas Cage would MOST LIKELY be playing the film's villain. Read the whole article from SuperheroHype Here.